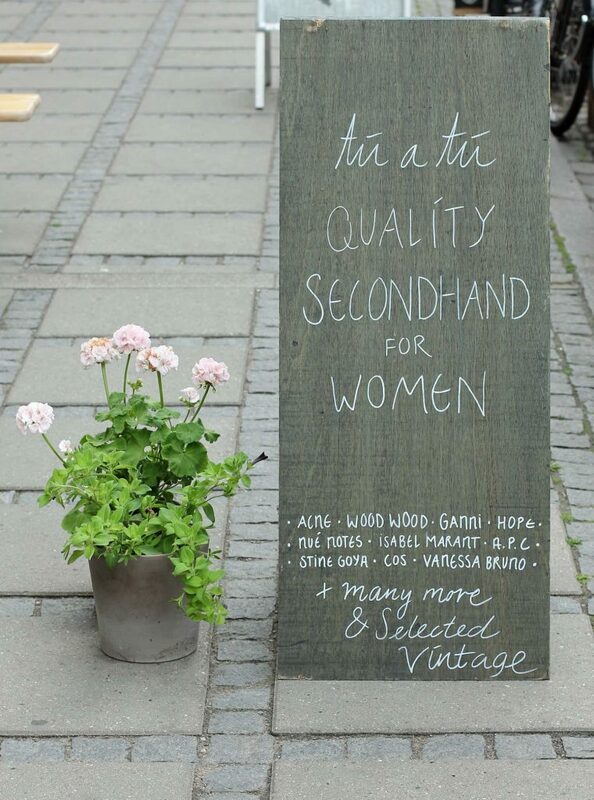 Copenhagen is a great shopping town! Strøget is the main street, surrounded by a number of large shopping promenades. 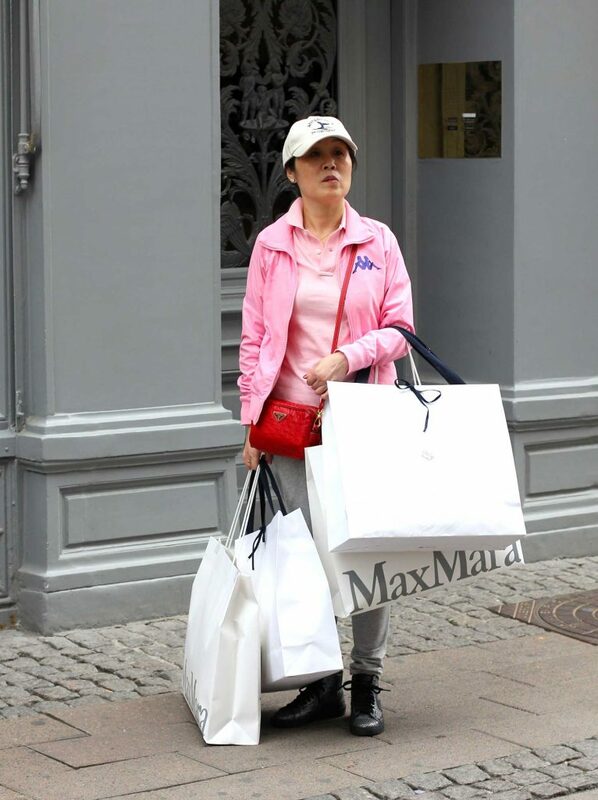 Major international brands have their own shops, like Prada, Max Mara, Louis Vuitton, Mulberry, Hermès, Boss and Isabel Marant. 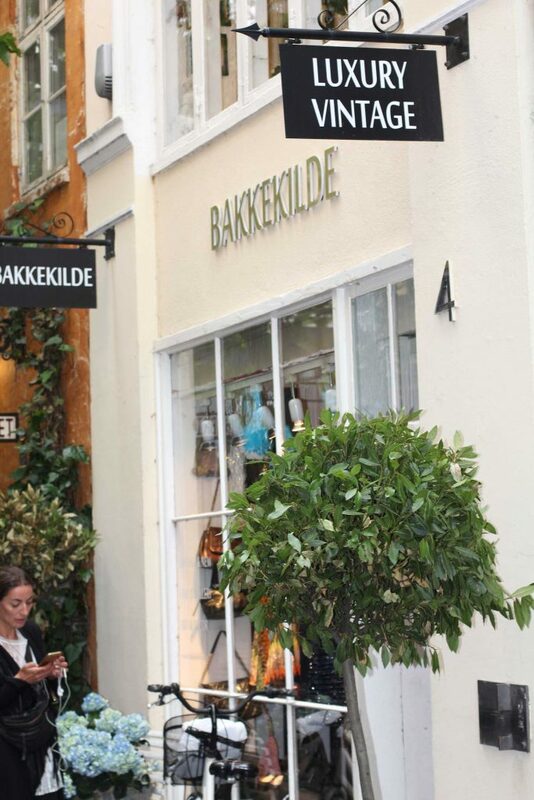 But also a brand store of Marimekko for example. 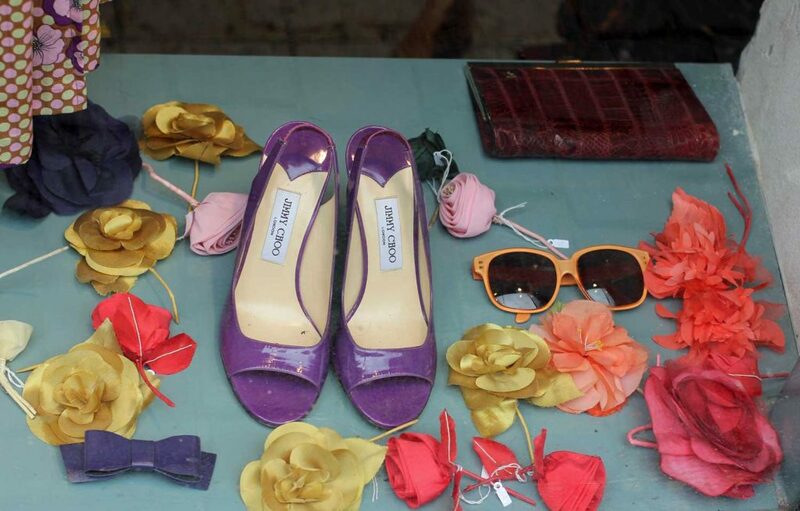 And Vagabond, the shoe brand that I am so fond of. There is also a great department store: Illum. 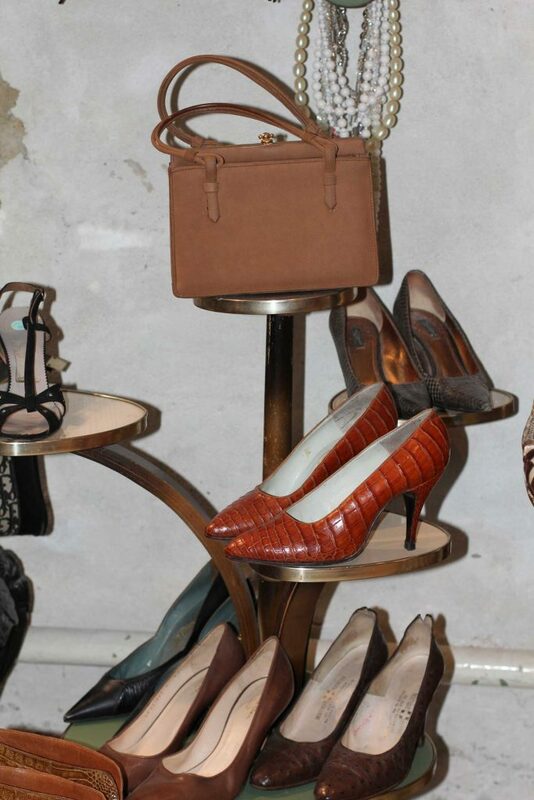 I was especially impressed with their extensive shoe department. 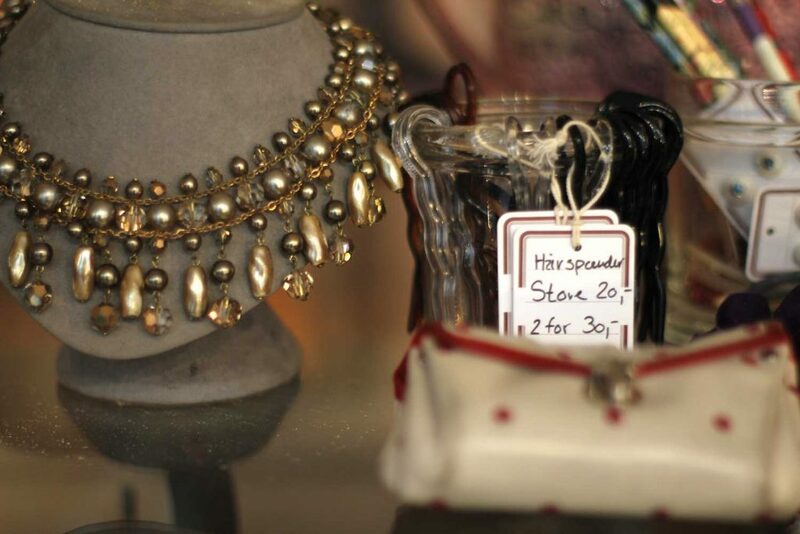 But there are also nice vintage shops. 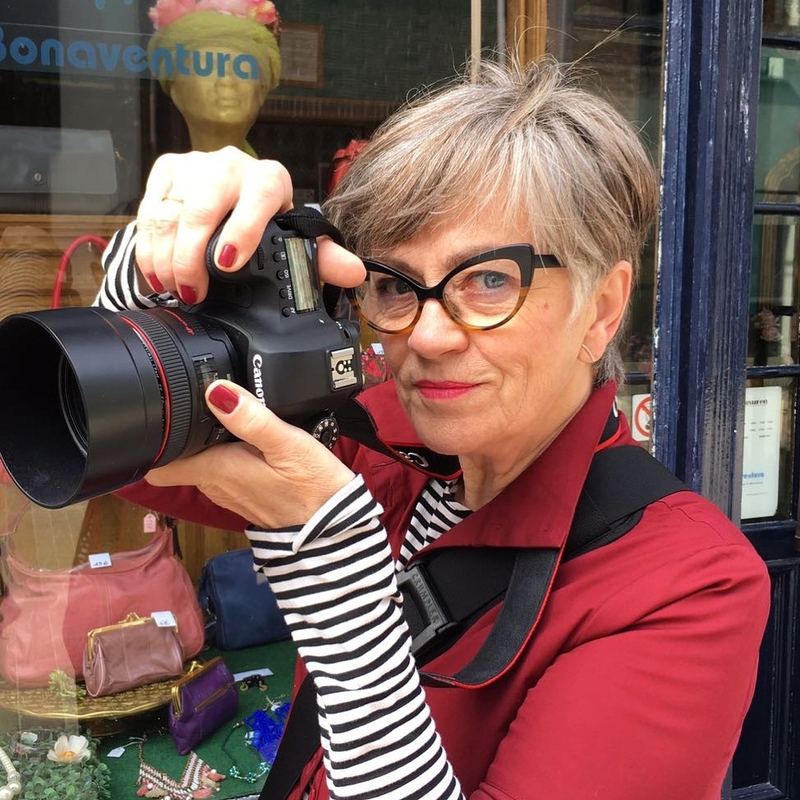 I have selected the four best vintage stores in Copenhagen for you. 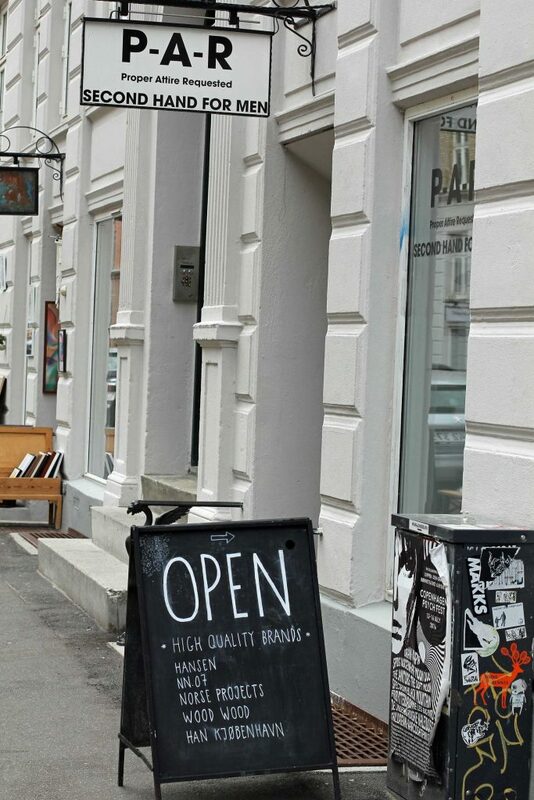 Just off the main shopping streets of Copenhagen is a district with unique shops. 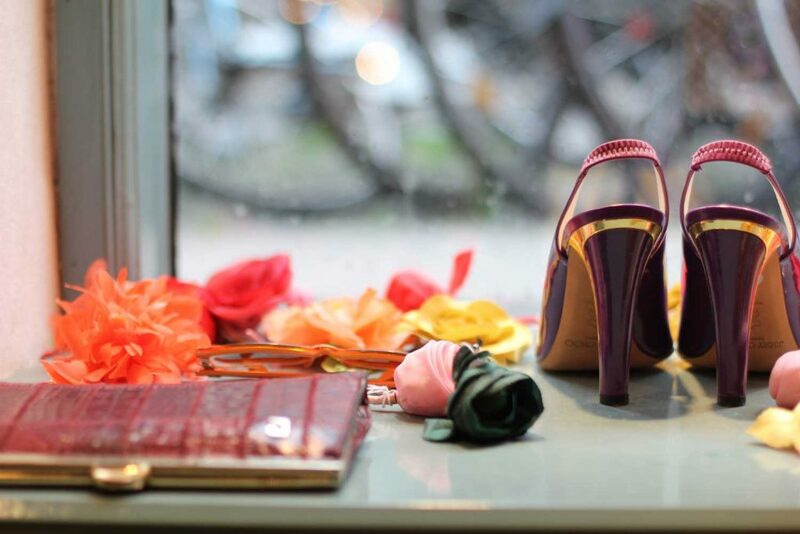 At the Larsbjørnssstræde you’ll find Carmen, one of the best vintage stores in Copenhagen. You have to go down two steps to enter, it’s not very big, but what a collection! 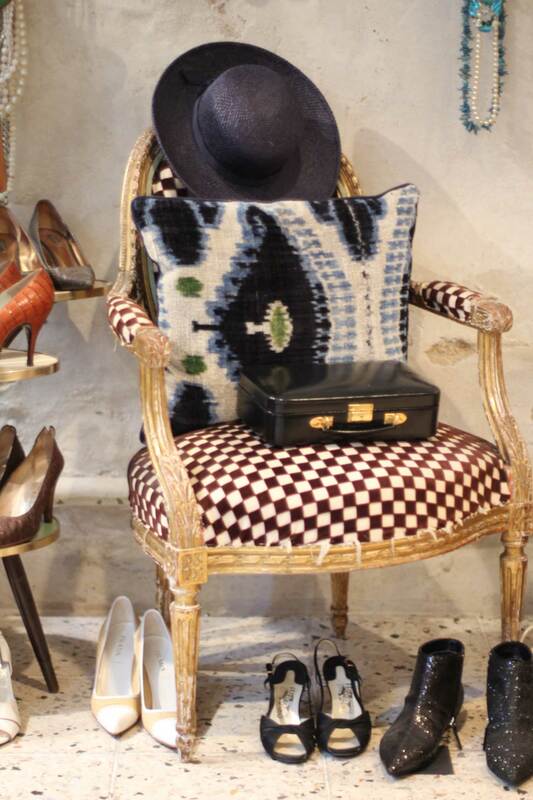 There are several corners and everything is grouped very tastefully. Take your time and enjoy. And maybe you will find something beautiful. 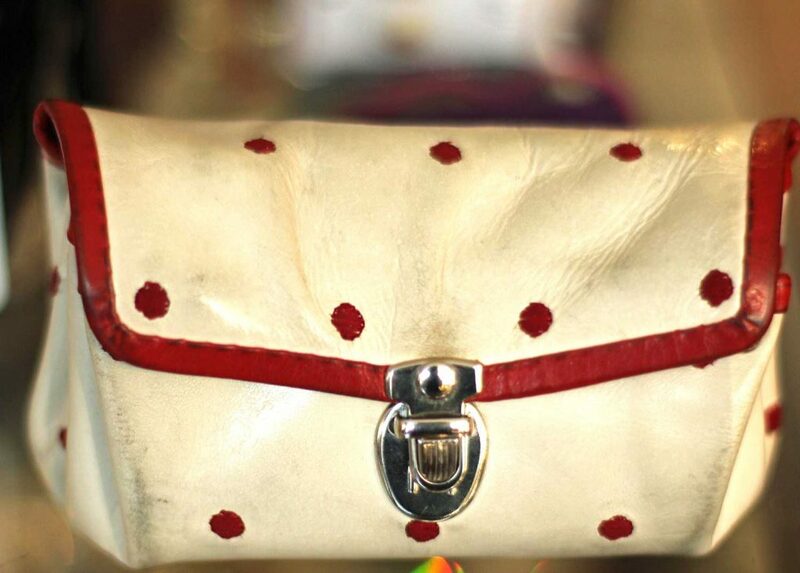 I couldn’t resist this leather purse with red dots. 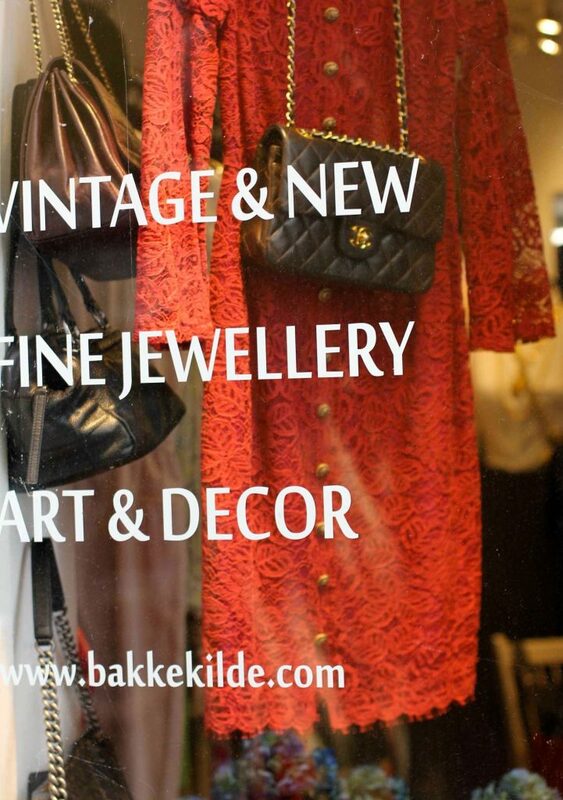 It is already on their sign: at Bakkekilde you will only find luxurious brands and jewelry. Jaegersbrogade is a street that you should not miss if you’re in Copenhagen. 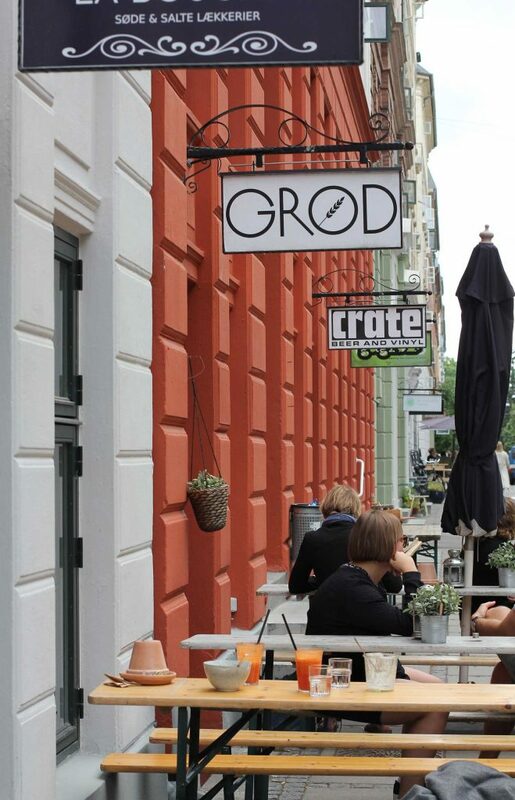 It is in Nørrebro, a neighborhood just outside the center. There are many cafes and specialty shops. 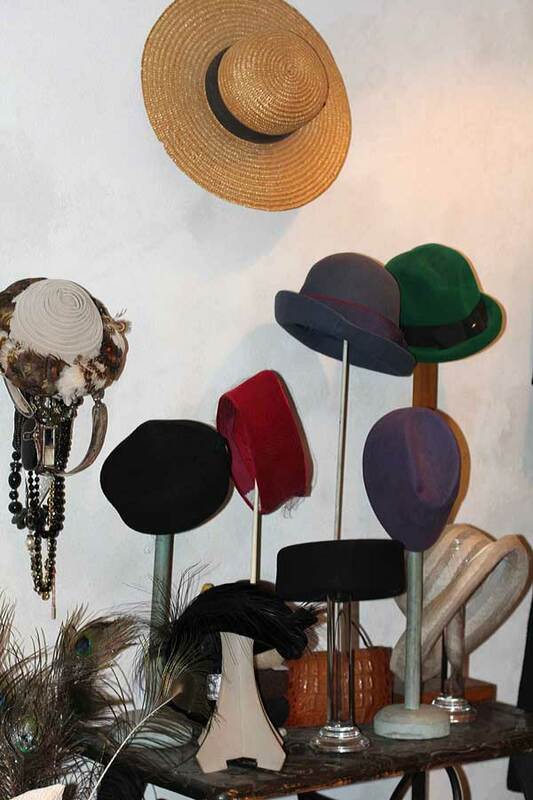 For example, a Tú Tú, a small, but nice store with contemporary second-hand clothes. 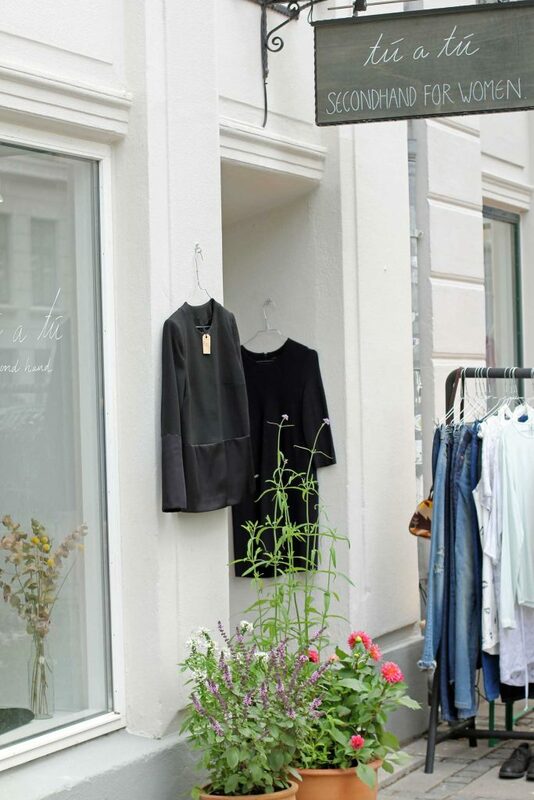 Think of brands like Isabel Marant, Acne, Vanessa Bruno, Hope, but also COS.
And if you’re at Jaegersbrogade, pull up for a nice coffee or snack at one of the many terraces, with long tables and benches. 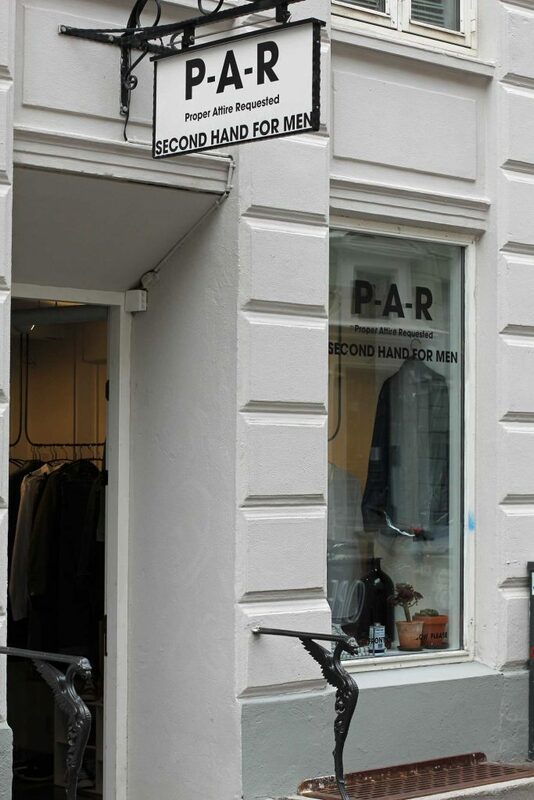 So in my opinion ‘you can shop ’til you drop’ in Copenhagen. At least I wouldn’t mind visiting this city every year!